Charlotte’s Web Holdings Inc (CSE:CWEB) (OTCMKTS:CWBHF) announcement today of a 10X increase in output of cannabis specifically grown for CBD should give pause to investors rushing headlong into the space with the idea that CBD is a limitless opportunity. History is about to re-teach one of its more poignant lessons that is nonetheless lost on successive generations: commodities derived from easy to grow plants (like tulips) are the fastest inflated and popped asset bubbles in the world. The United States, in its ham-fisted effort to get out of its own way on cannabis legislation, will inadvertently drive a nail into the global cannabis coffin by idiotically differentiating hemp from cannabis by its THC content. Nevermind that even trace amounts of THC can be isolated and concentrated into whatever potency is desired. 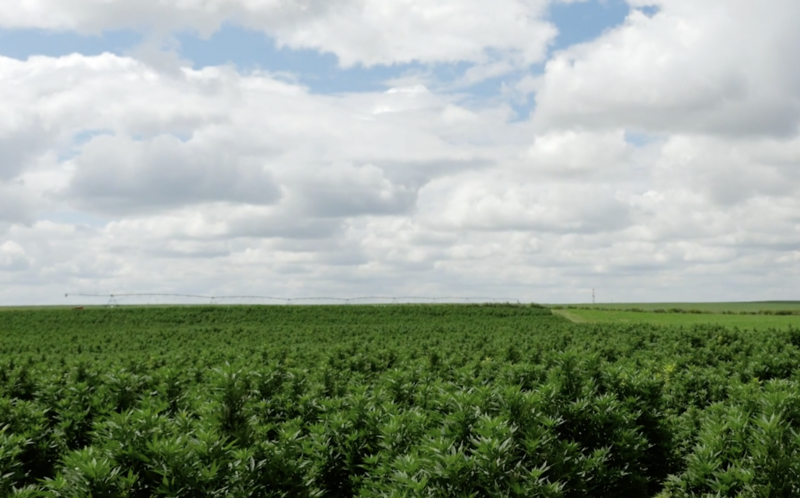 The Farm and States bills, while unshackling cannabis with less than a 0.3 % THC content from federal prohibition, are going induce an oversupply of CBD that is unprecedented in cannabis industry history. That will happen in the growing season of 2019, and so by the end of this year, we will start to see inventories surging, margins shrinking, and valuations plunging, for the overabundance of overpriced U.S. multi-state operators trading on Canadian and US exchanges. WATCH:Charlotte’s Web CEO Hess Moallem outlines the company’s long term strategy for national market share. Much like a baffled hull prevents a ship from sinking altogether if one section is breached, the fractured state-restricted commerce in Cannabis will act as a baffle on the flood of capital out of the space by Q4 2019, but this ship will be found to have multiple punctures, and thus all the compartmentalization in the world won’t halt the inevitable. Compounding the issue of intense price competition on a commodity in a state of perpetual oversupply and decreasing production costs is the advent of biosynthesized cannabinoids, which will add a new layer of price pain and excess to what, by then, will be a market defined by razor thin margins. For these reasons, it will become apparent to investors and CBD product consumers alike that first mover advantage and a strong brand will be like a moat against the siege. New, unrecognized brands are going to have a very difficult time dislodging entrenched brands like Charlotte’s Web from their dominant market share position. Lets not forget – it was Charlotte’s Web founding Stanley brothers who were the catalysts for the state of Colorado to lead the modern thrust toward de-regulation in Colorado and thus the United States.Their compassionate production of a CBD extract that successfully transformed the quality of life for young Charlotte Figi from having 300 + epileptic seizures per week to pretty much none at the age of six was the inciting event that put cannabis on the path to de-prohibition, at least as it pertains to medical applications. The ensuing push for legalization of cannabis for medical and recreational purposes appears to be an inexorable side effect of medical regulation of cannabis. We are currently seeing the equivalent of a gold-rush era land grab in the United States, with large corporations funded at high valuations paying too much for production and retail footprints that are largely unproven or temporarily robust thanks to a lack of competition. The objective is optic, with investors easily fooled by the “multi-state operator” designation, and a naive perception that presence in the broadest number of states correlates to value of stocks. While perhaps a boon to lucky gamblers, the overvalued market for shares as a result of the mania for all things cannabis will soon revert to a more appropriate valuation, and those who find themselves looking for a seat as the music slows might find themselves instead clinging to a bag of fragrant paper with no seat in sight. The incumbent large vertically integrated producers with national brand recognition will be the last ones standing, just before they are inhaled by the largest Consumer Packaged Goods conglomerates upon international normalization of cannabis laws.